After trying Revlon, Garnier, Cover Girl and more, I stumbled onto L’Oreal Triple Protection Crème in my preferred shade of light ash brown. Three other go-to products help the color last. It happens to all of us in time; grey hairs first start to highlight, then take over your head. But I was extra lucky – I found my first silver stands at age 16, and by age 25 my roots were well over 50%, white and wiry. I used to spend more than $100 dollars getting my hair colored by professionals, but in this economy it’s an expense I can’t afford. Yet I was worried about trying a boxed home color kit. I was ok with not having a uniquely blended shade, but less enthusiastic about losing the pre and post color care. Being a beauty junkie, I hit my favorite high-end stores, but to my surprise the best overall permanent color I discovered can be found at any pharmacy. 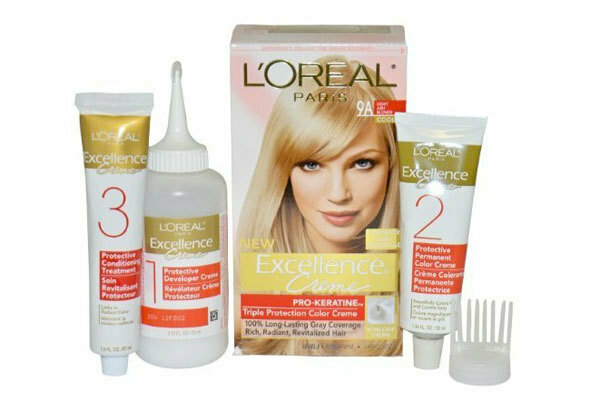 After trying products from Revlon, Garnier, Cover Girl and more, I stumbled onto L’Oreal Excellence Triple Protection Color Crème in my preferred shade of light ash brown. Alone it does a great job of covering my greys and making my hair feel silky, but I want lasting healthy color so I added a few other products to my coloring regime, and together they make an arsenal almost as good as found in any salon. I like the L’Oreal crème because it comes with a pre-treatment serum that protects damaged hair like split ends. I also appreciate the comb-like applicator that lets me really get to my roots. And, the formula is so thick I don’t stain towels. Now here’s a tip I didn’t want to get. My favorite colorist told me to wait until my hair was greasy before dyeing because the color would last longer. Well, I can go a day maybe, but after that I cave, so that where Ion’s Color Brilliance Pre-Color Treatment at under $5 a bottle comes in. It gets my hair ready to hold the color. Once the major coloring is done I rely on Clairol Nice ‘n Easy Root Touch Up every two weeks so I can part my hair without freaking myself out in the mirror. It’s fast, easy and basic light brown matches well with most major brands in similar shades. Finally, to keep the color shiny, not washed out, I use Aveda Color Conserve Conditioner, the most expensive product in my routine at around $20, but used twice a week, with all the rest, I get a full 10-12 weeks between recoloring. The best part? Even my own sister thinks I still go to the salon! 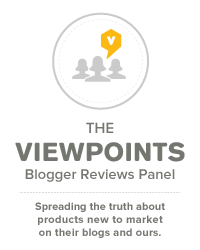 Editor’s note: If you have professional experience with hair care products Viewpoints is recruiting experts in priority product categories to write for our blog. Check out this overview of the Viewpoints Category Expert Program, including qualifications, compensation and how to apply.